For most industrial safety managers, the term behavior-based safety (BBS) raises a conflicting combination or feelings. For some, BBS is an invaluable safety tool to add to the safety manager tool box; for others, behavior-based safety is an inefficient waste of time that does nothing to a facility’s safety program but drain the budget. Of all the popular safety concepts, behavior-based safety is the most contested and controversial. Like a lot of things that invoke polarized reviews, many conceptions of BBS are distorted, exaggerated, or otherwise inaccurate. BBS, when used properly, can increase safety and improve employee engagement in safety programs. When used as a Band-Aid or cure-all, BBS doesn’t work. This article examines the origins of behavior-based safety, its good points, its trappings, and the misconceptions that’s led to its checkered reputation. Most importantly, this article will outline how BBS can improve your safety program. Behavior-based safety is a process that reveals to management the overall safety of a workplace. Established as a way to increase control and manageability in industrial settings, BBS strives to focus workers’ attention on their own and their peers’ daily safety behavior. BBS mandates that management and employees alike consistently focus attention and action on their own daily behavior to keep facilities safe. When BBS goes as planned, employees are more engaged in their safety, and more willing to take responsibility for their safety-related behavior. They’re also able to hold their peers accountable when unsafe practices occur. The result is a workforce that is acutely aware of safety protocols and are actively working to stay safe. BBS owes its beginning to Jim Spigener, who at the time of BBS’s conception was vice president of BST, INC. Dissatisfied with the lack of progress and ingenuity in industrial safety concepts, Spigener’s intention was for BBS to become another component in his organization’s safety program. Spigener wanted to increase the effectiveness of safety programs. Since most safety concepts and strategies focus on engineering and administrative controls, Spigener thought these controls were forgetting a crucial factor in workplace accidents: people. Sure, machines can shut themselves down when a sensor goes off, but no machine can monitor the reckless habits of workers. Administrative controls like signs, floor markings, and labels only work when teams are being mindful of rules. 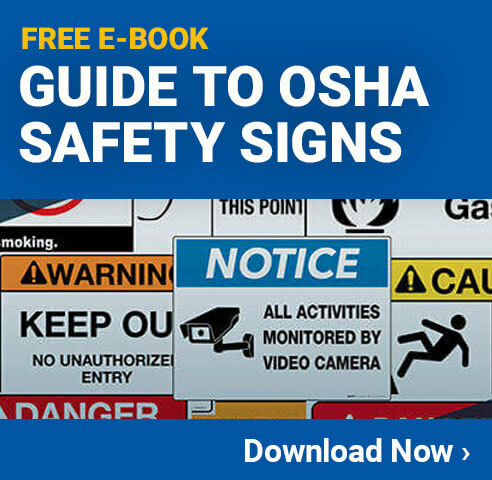 Without people being accountable for safety, safety problems would always plague the workplace. This was the way BBS approached the problem of safety. With the help of the science of behavioral change, Spigener created system-focused BBS, which seeks to find, then reduce or eliminate exposures that lead to accidents and injury by improving the systems that make up a facility’s operations. Any popular, widely-used concept will receive its fair share of criticism, but BBS is more polarized than other industrial safety philosophies. Many safety managers and experts have spoken out against it for not being worth the cost, not executing what it advertised, and not meeting even basic expectations, while others have criticized BBS for fostering a blame-the-employee attitude regarding accidents, injuries, and other safety failures. Because of this, BBS is often misinterpreted by operations that buy into the erroneous philosophy that people do dumb things and that’s why accidents happen. One common flaw in BBS is that it focuses solely on workers’ behavior, even when other things should be factored in. In one facility, collisions kept occurring outside the doorway that led toward the breakroom. Safety managers couldn’t figure out why people kept colliding; they implemented a number of BBS strategies, and yet accidents kept happening. One incident was so bad one worker suffered a broken wrist. It wasn’t until the safety manager went to the gemba and realized that the root cause of the issue was surprising: the accidents were happening very close to lunch, and the reason people were rushing to the breakroom because it didn’t have enough seats. If you didn’t rush, you’d have to eat your lunch standing up. This was a problem that couldn’t be solved by BBS. For Spigener, this is a great misunderstanding of what BBS is made for. This concept wasn’t made to act as an end-all, be-all solution for industrial facilities’ safety programs. Instead, it’s a supplemental tool.